The US wants to know how deep the China debt hole is for Pakistan, and is determined to prevent it from using the IMF bailout to pay off loans. Washington: The US would like to see progress in combating terror financing and more cooperation on Afghanistan as conditions attached to the bailout package Pakistan has sought from the International Monetary Fund (IMF), along with transparency about its debts to China. Terror financing and money laundering under the Financial Action Task Force (FATF) is a multilateral concern aligned with IMF’s mandate and Pakistan’s compliance is critical for the IMF bailout it has sought, a senior US official said on condition of anonymity. In June, the FATF, a secretive watchdog, put Pakistan on its grey list of countries it monitors closely and works with to counter terror financing and money laundering. “Transparency” about money Pakistan owes China will be a key condition too, the official said, reiterating the US position on the issue. Other US officials have also made clear the centrality of this issue, vowing to prevent Pakistan from using the bailout to pay off Chinese debt. Another official sought to link the bailout to more cooperation from Pakistan in the Afghan peace process, something President Donald Trump personally pitched for in a letter to Prime Minister Imran Khan. This official also spoke on background. The list of proposed US conditions is long, reflecting wariness about Pakistan, which was once an ally against the Soviet occupation of Afghanistan but has been hurtling from crisis to crisis for years. Most tellingly, for the Americans, it has become a near-rogue state that has typically not taken responsibility for its actions. “They have had 18 IMF bailouts thus far,” said one of the two officials cited above, expressing exasperation. Pakistan has sought an IMF bailout of an estimated $8 billion to $12 billion and a decision is expected in January as negotiations are underway. The US accounts for 17% of the IMF kitty of $475 billion, from which the Pakistan bailout will come if agreed on by all parties. As the top contributor, it can dictate terms and conditions, experts agree. US secretary of state Mike Pompeo, for instance, made it clear in July when he said Pakistan won’t be allowed to use the bailout to pay off Chinese loans. This was reiterated by David Malpass, a senior treasury official, at a congressional hearing this past week. 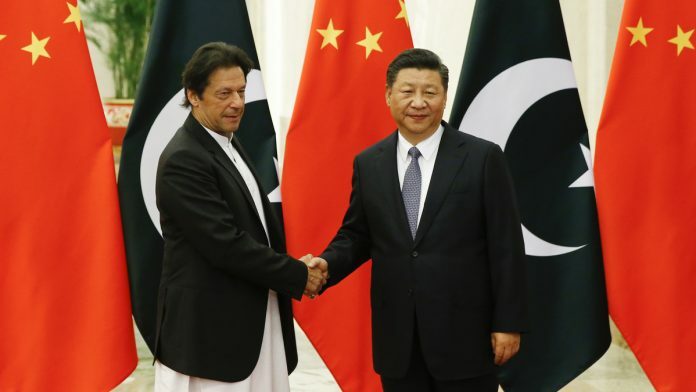 Islamabad has accumulated a publicly undisclosed amount of loans from Beijing under the China-Pakistan Economic Corridor (CPEC), part of the controversial Belt and Road Initiative (BRI). This has come in for increased criticism around the world for predatory loans that have forced nations to cede territorial sovereignty in return for impossible debt servicing or repayment terms. Malpass told lawmakers the US is keen to change Pakistan’s economic programme – and not just offer it a rescue package – to make sure it does not fail again. Thus the multi-pronged approach. FATF compliance is a key issue for the Trump administration, which has taken a tough approach towards Pakistan’s reluctance to act decisively against terrorists operating from its soil, especially those battling US-led international forces in Afghanistan and those targeting India. The administration has suspended $1.6 billion in security aid to Pakistani in 2018, following a stinging denouncement by Trump in a New Year tweet. The US joined hands with European allies a few weeks later to push Paris-based FATF to grey list Pakistan, overcoming opposition from China and Turkey. According to officials, Beijing’s support was acquired in return for the vice-presidency of the 38-member body. US treasury official Marshall Billingslea took over as president of the FATF in July for a one-year term, with Xiangmin Liu, a senior official of the Chinese central bank, as his deputy. There have been reports in the Pakistani media that FATF is unhappy with progress in addressing concerns that led to the grey listing. FATF did not respond to a to a request for comment. According to FATF reports about its last two plenary meetings, in June and October, Pakistan has given a “high-level commitment” to work on an action plan to address “its strategic counter-terrorist financing-related deficiencies”. That will demonstrate that remedial actions and sanctions are applied in cases of money laundering and terror financing violations, and will demonstrate that competent authorities are cooperating and taking action to identify and take enforcement action against illegal money or value transfer services. Demonstrate that authorities are identifying cash couriers and enforcing controls on illicit movement of currency; improve inter-agency coordination on terror financing, demonstrate that law enforcement agencies are identifying and investigating the widest range of terror financing activities, and prosecutions target designated persons and entities; demonstrate that terror financing prosecutions result in effective, proportionate and dissuasive sanctions, and demonstrate effective implementation of targeted financial sanctions against all terrorists designated under UN Security Council resolutions 1267 and 1373. There was no reaction from officials in New Delhi. However, people familiar with the developments said India and other Western countries were preparing to highlight Pakistan’s failure to crackdown on terror financing at an FATF review meeting next year.